Several elements distinguish one watch face design from another, including case shape, dial markings, hands, lenses, metals and more. Common case shapes include round, rectangle, square, oval, carre and tonneau, although a watch face designer may also experiment with asymmetrical shapes. 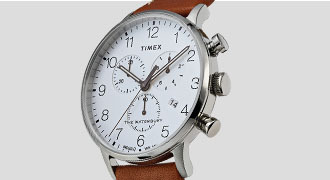 Analog watches can feature various dial markings, including Arabic or Roman numerals and sticks or dots to indicate where the numbers on a traditional clock would be. 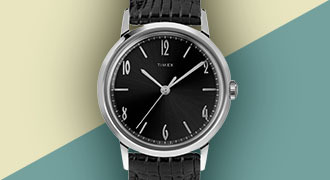 Some watch face designs employ a combination of dial markings, such as using numerals for 12, 3, 6 and 9, and noting the numbers in between with a line. The colors of these details and the face itself vary by watch, and some have smoked or tinted lenses that encase the timepiece. 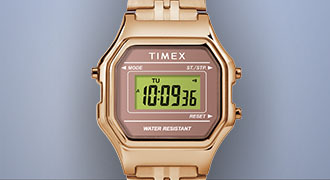 Many Timex® watch faces also feature INDIGLO® light-up dials for glow-in-the-dark visibility in dim conditions. 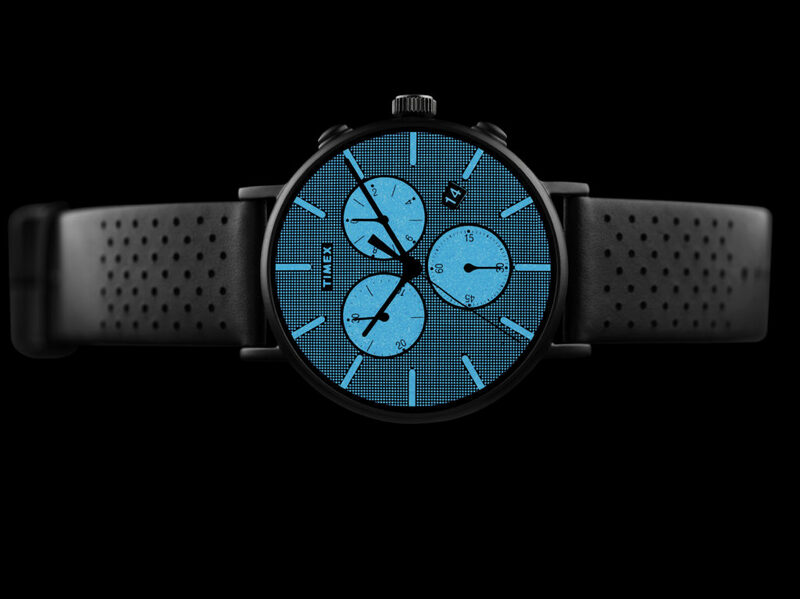 As with any fashion accessory, watch face designs see rises in new trends. 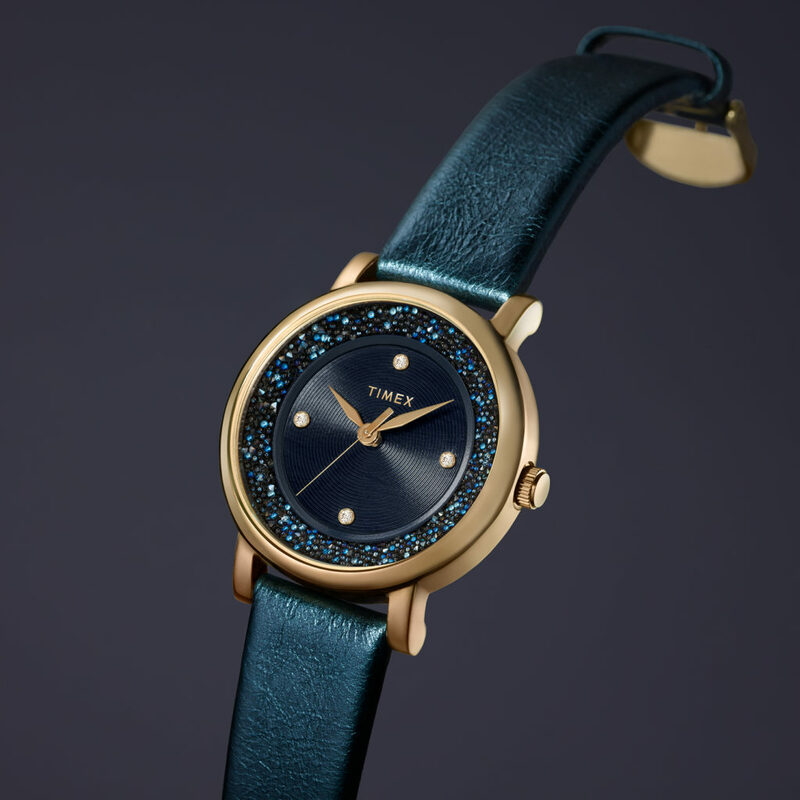 Modern designs tend to err on the side of simplicity and minimalism, although experimenting with different colors is a way for watchmakers to appeal to different preferences. Currently, we’ve seen many watch wearers fall in love with marble face designs, which are neutral enough to be worn every day but also offer an air of intrigue and personality. The Fairfield collection honors sleek watch face design, featuring solid neutral background colors and line dial markings in place of numerals. The darker color combinations have an especially striking look, while the lighter faces with simplistic details are the epitome of a modern everyday watch. The simplicity means Fairfield watches work well in casual settings but also look the part at more formal events. 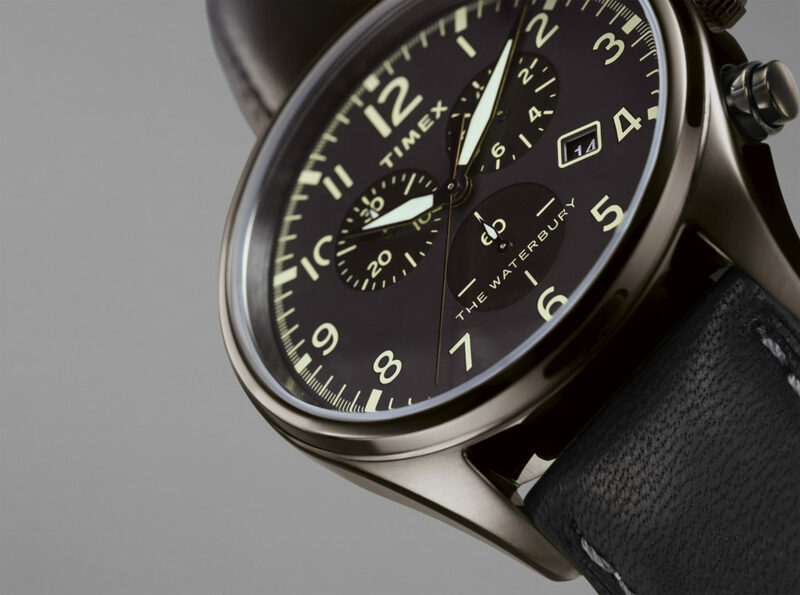 Paying homage to our Connecticut roots, the Waterbury Collection features more traditional watch face designs with classic round cases and numeric dial markings. 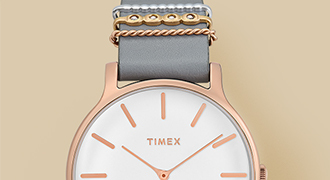 The ageless design makes these timepieces the perfect addition to any watch collection. Our crystal watches range from the simple Fairfield Crystal with Swarovski® crystal details on the strap to the snazzy Opulence, which has a completely crystal watch face. Our Crystal Bloom watches feature floral designs on the watch face, complete with Swarovski® crystal accents. These sparkling timepieces make a bold yet sophisticated statement, taking modern watch face design to a whole new level. 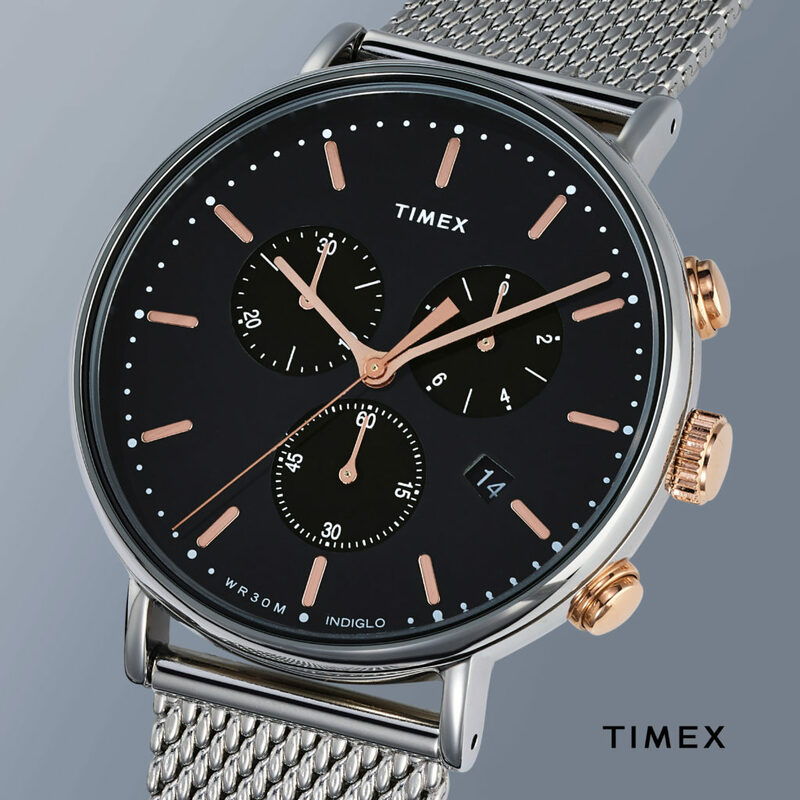 While watch face design gives each collection its own identity, the same level of careful craftsmanship and authentic watchmaking goes into every Timex watch.